It’s June, which hopefully means it won’t snow and probably means temperatures are going to climb — fast. Fortunately, this summer you can cool off with a Zingerman’s Coffee Co. cold brew. What’s the big deal? 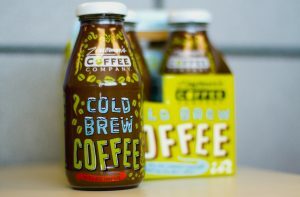 Cold brew isn’t just hot coffee over ice — it’s actually the product of a more sophisticated brewing process that can take anywhere from two to 24 hours and, as a result, boasts much more flavor than a straight-up traditional brew. In a nutshell, beans are ground coarse, then steep in water for hours. When ready, the grounds are filtered out and the end product is a highly concentrated coffee that hasn’t lost flavor from contact with high heat. I won’t get into the chemistry involved here (I went to law school for a reason), but there’s less acidity and less caffeine and a broader flavor palate. Ten-ounce bottles will be available at the restaurant’s locations, as well as Busch’s Fresh Food Market, Papa Joe’s Market and Plum Market. There are no preservatives, additives or acidifiers necessary, making cold brew a better choice for shelf stability. The bottles will be available for individual sale, in four-packs and 16-bottle cases. 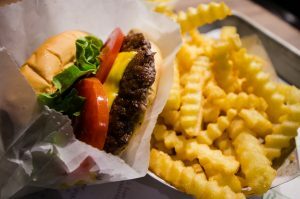 There’s a lot of buzz following the announcement last week that New York’s Shake Shack will land in Detroit next year. Known for burgers, hotdogs, fries and milkshakes, the now-publicly traded chain grew from just one food cart that hit the streets of the Big Apple a little over 15 years ago. The first Metro Detroit location will open in the First National Building off Campus Martius Park in 2017. Birmingham’s Forest launches a new Saturday brunch this week with some exciting menu features I can’t wait to check out — hashwi hash (eggs and lamb confit), a lamb sandwich on focaccia, house-made biscuits and gravy with garlic sausage, and a carrot Bundt cake. Brunch will be available weekly from 10 a.m. until 3 p.m. There will be a limited menu available from 3 p.m. until regular dinner service at 5 p.m. (753 Forest). Men’s Journal says Detroit is home to “America’s most overlooked pizza.” The magazine gave Buddy’s Pizza credit for the Motor City’s famous square deep-dish pies but didn’t forget to mention national brands that got their start right here, too — namely Domino’s Pizza and Little Caesar’s. 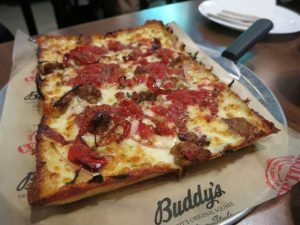 Buddy’s is opening its 12th location this year, and the pizzeria’s history stretches back to 1946 when their pizzas were baked in repurposed industrial pans typically used to collect scrap metal at automotive plants and foundries. Vernors celebrates 150 years this week. Detroit’s favorite ginger ale will be featured on menus at a number of restaurants, and a number of special events are planned. 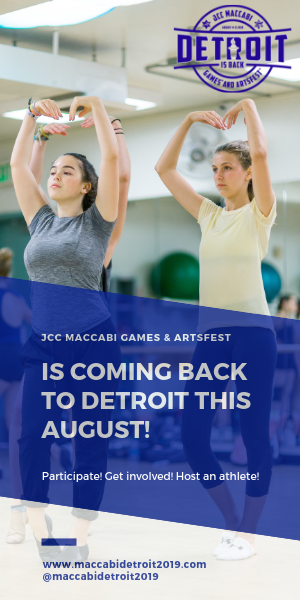 Cobo Center and the Detroit Opera House are both lighting up green and yellow for the big birthday, and the Detroit Historical Museum has a rare display of Vernors artifacts for a special exhibition on the museum’s lower level. Admission is always free. 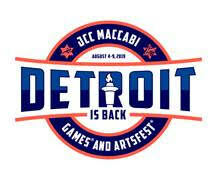 For more Vernors events and information, visit www.detroithistorical.org. To Patty Battersby and Noah Jacob on their engagement. To Matthew Hollander, who was deservedly promoted to general manager at the award-winning Bistro 82. To Sam Surnow, who got a nod from Crain’s Detroit Business, naming him to their 2016 “Twenty in their 20s” list.